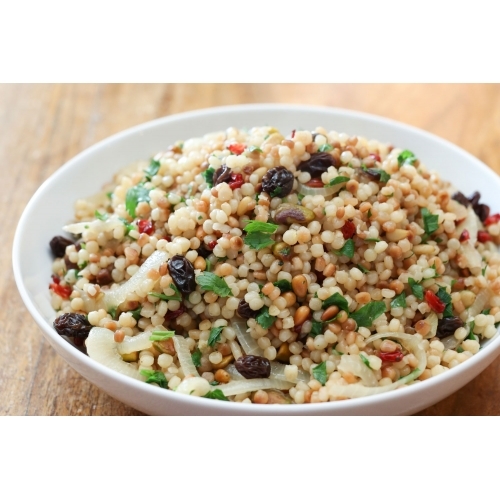 Home > Pasta/Rice/Grains > Warda Israeli Couscous 5kg. 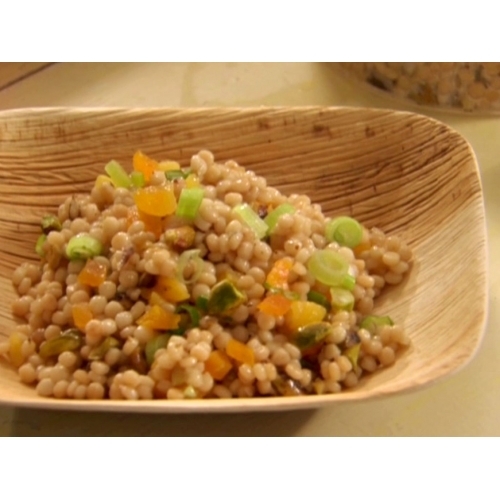 Israeli couscous, also called pearl couscous, is similar to regular couscous in that it's a small, whole grain-like food made from semolina or wheat flour. 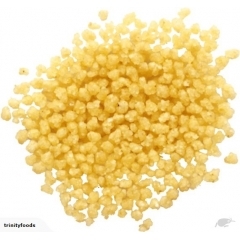 While I've always seen it labeled as Israeli couscous, others might know it as "pearl couscous", "Jerusalem couscous", or, as it is known in Israel, "ptitim". 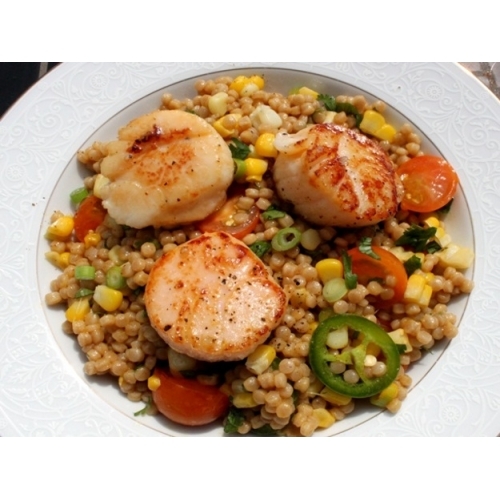 Bob's Red Mill, one commonly known brand, labels their product "Natural pearl couscous". The Company "Pâtes Warda" was created in 1997, it is specialized in the production of pastas and couscous. It markets its products under the brand Warda. Today, the company "Pâtes Warda" has a production capacity of 205 tons of pastas and 45 tons of couscous a day. It exports about 40 % of its production to more than 20 countries in the world. It is a subsidiary of the group «La Rose Blanche ", which is, one of the greatest food groups in Tunisia.